Not to be confused with The Road to Singapore. For the WTA Championship Finals (2014–2018), see WTA Finals. Road to Singapore is a 1940 American semi-musical comedy film directed by Victor Schertzinger and starring Bing Crosby, Dorothy Lamour and Bob Hope. Based on a story by Harry Hervey, the film is about two playboys trying to forget previous romances in the Colony of Singapore, where they meet a beautiful woman. Distributed by Paramount Pictures, the film marked the debut of the long-running and popular "Road to ..." series of pictures spotlighting the trio, seven in all. The supporting cast features Charles Coburn, Anthony Quinn, and Jerry Colonna. It takes place in Singapore under British Rule. Josh Mallon (Bing Crosby) and Ace Lannigan (Bob Hope) are best friends and work aboard the same ship. As their ship returns to the US after a long voyage, they see all the other sailors being mistreated by their wives and girlfriends, and the two friends pledge never to get involved with women again. Unfortunately, this vow is tested almost immediately. First, Ace is confronted by the family of a former lover, Cherry, who insist he marry her. Then Josh, who is the son of rich shipping magnate (Charles Coburn), has to fend off his fiancee, Gloria (Judith Barrett), and his father's wishes that he settle down and take over the family business. Things get worse when Josh and Ace get caught up fishing and turn up late for a party to celebrate Josh's engagement. Gloria's hostile drunken brother starts a fistfight and a news reporter takes photographs that cause a scandal. Josh and Ace flee to Hawaii and then head for Singapore. However, the pair only get as far as the island of Kaigoon before their money runs out. They rescue Mima (Dorothy Lamour), an exotic local (but not native) from her abusive dance-partner, Caesar (Anthony Quinn), and she moves into their hut. Soon Mima is running the two men's lives, much to their chagrin. The trio try to make money in several different ways, including trying to sell a spot remover that is so bad it dissolves clothes. 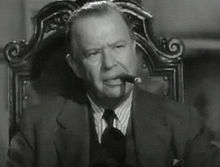 According to Hope biographer Raymond Strait, the project which became Road to Singapore was first offered to Fred MacMurray and Jack Oakie (under the working title of Road to Mandalay), and after they declined, to George Burns and Gracie Allen (as Beach of Dreams), with a second male lead to be determined. They also declined. (Burns is quoted as saying that Gracie "thought the whole thing was silly.") At this point, Paramount decided to pair Crosby with Hope, and to take advantage of the screen popularity of Lamour, who had already made several lucrative pictures with a "South Seas" theme. Crosby and Hope had recently appeared live together at Del Mar (Crosby's racetrack) beforehand, amazing onlookers with how smoothly they worked together, but their audience didn't realize that they'd briefly performed together on the vaudeville stage years earlier, getting a few routines down pat. Although the Road to Singapore script was written by established screenwriters Frank Butler and Don Hartman and directed by Victor Schertzinger, some of the material was ad libbed by Hope and Crosby or surreptitiously contributed by their own writing staffs (including Sid Kuller and Ray Golden). Filming began in Hollywood on October 2, 1939 and continued until December. The jungle scenes were filmed at the Los Angeles County Arboretum. This was the only installment of the series in which Hope was billed third, under Dorothy Lamour. After this picture, the billing order remained Bing Crosby, Bob Hope, and Dorothy Lamour until The Road to Hong Kong more than two decades later, in which Lamour was replaced with Joan Collins and relegated to a smaller role when Crosby insisted on a younger leading lady. Hope fought to get her into the picture, albeit in a reduced capacity. Road to Singapore premiered March 13, 1940, at the Paramount Theatre in New York City. Tommy Dorsey's orchestra (with Frank Sinatra) highlighted the accompanying stage show. The film was an immediate box office success, helped in large measure by good reviews and by Hope's promotion of it on his weekly radio show. The film was placed at No. 17 in the list of 1940's top-grossing movies in the United States. A review in Variety wrote, "Much of the humor is whacky and nonsensical, but made palatable in the manner of presentation by the Crosby-Hope team and crackerjack direction of Victor Schertizinger." Harrison's Reports wrote that the story made "little sense", but that this "does not matter much, for the entertaining qualities of the picture are the gags, the songs, and the clowning on the part of Bing Crosby and Bob Hope", who were called "excellent as a team." Film Daily agreed, reporting that "Bing and Bob make up a swell team, with a resulting heavy bundle of laughs." 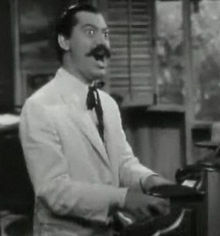 John Mosher of The New Yorker found the film trivial but wrote that it "saunters along as easily as any of the collection" of comedies playing that week. Frank S. Nugent of The New York Times wrote a dissenting negative review, saying the film squandered its possibilities. He metaphorically called the road "cobbled with good intentions", but "altogether too uneven for regular use." Bing Crosby recorded three of the songs for Decca Records. "Too Romantic" was a big hit reaching the No. 3 position in the charts during a 12-week stay. "Sweet Potato Piper" also reached the top 20. Crosby's songs were also included in the Bing's Hollywood series. As a result of EMKA, Ltd.'s acquisition of the pre-1950 Paramount library (which includes this and the following three "Road" pictures) and the later transfer of rights to the fifth and sixth films to FremantleMedia and Columbia Pictures Television, Paramount would end up losing the rights to all the "Road" pictures it originally produced (the last film, The Road to Hong Kong, was produced and released by United Artists, who retain the rights to the film to this day). The copyright to Road to Singapore was renewed in a timely manner by EMKA. Originally registered for copyright as LP9497 with a declared publication date of March 22, 1940, the continuation of copyright was contingent upon renewal between the 27th and 28th anniversaries of that date. Renewal occurred March 31, 1967, number R407858. Although the film opened a week prior to the publication date, the renewal is still timely even if the earlier date were considered publication date. Renewal was filed by EMKA, Ltd., today part of NBC Universal Television Distribution, so thus Universal Studios now handles theatrical and home video distribution. The copyright is now scheduled to run until 95 years after the publication date (2035). ^ "Which Cinema Films Have Earned the Most Money Since 1914?". The Argus. Melbourne. 4 March 1944. p. 3 Supplement: The Argus Weekend magazine. Retrieved 6 August 2012 – via National Library of Australia. ^ Macfarlane, Malcolm. "Bing Crosby – Day by Day". BING magazine. International Club Crosby. Retrieved January 1, 2016. ^ "'The Road to Singapore,' with Bing Crosby, Bob Hope and Dorothy Lamour". Harrison's Reports: 39. March 9, 1940. ^ "Reviews of New Films". Film Daily. New York: Wid's Films and Film Folk, Inc.: 8 February 26, 1940. ^ Mosher, John (March 16, 1940). "The Current Cinema". The New Yorker. New York: F-R Publishing Corp. p. 103. ^ Nugent, Frank S. (March 14, 1940). "Movie Review – Road to Singapore". The New York Times. Retrieved November 27, 2015. ^ "A Bing Crosby Discography". A Bing Crosby Discography. Retrieved December 30, 2015. Wikimedia Commons has media related to Road to Singapore (film).